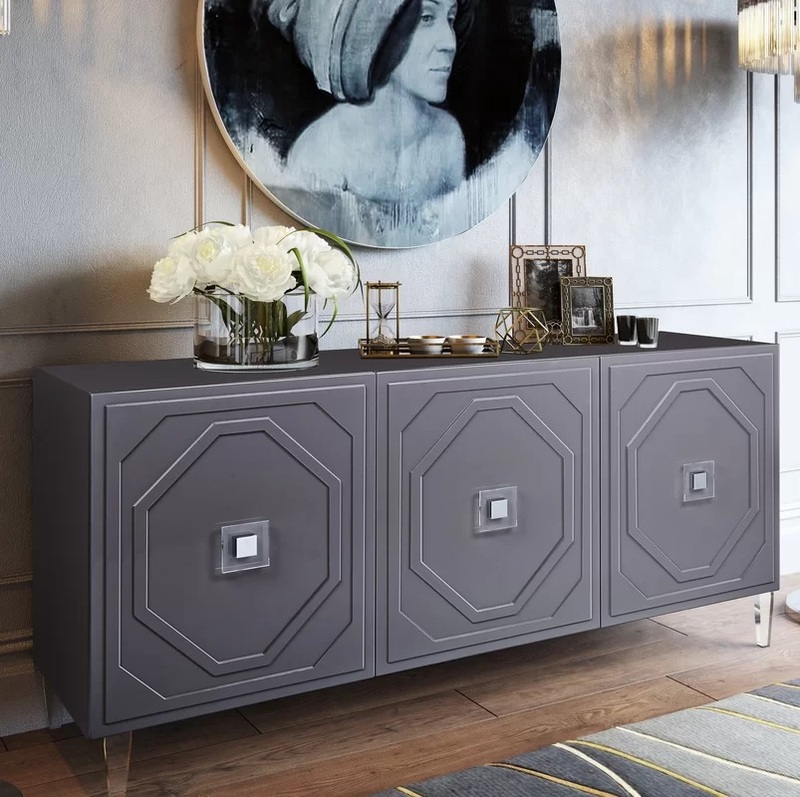 Sideboards are going places in the world, not only are they practical inclusions in interior design but are also so very pretty. 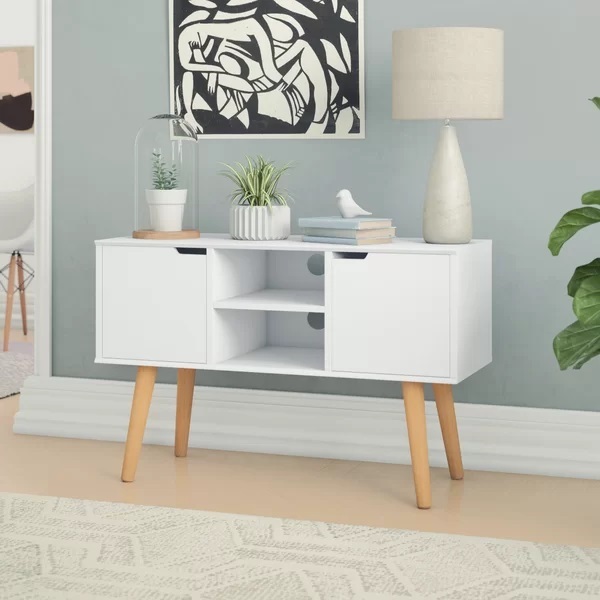 If you are here to find out some of the best sideboard table designs to choose for your interiors, let us first give run you through some of the finer details of what a sideboard is and which is the best sideboard table option for you to choose from for your particular room. 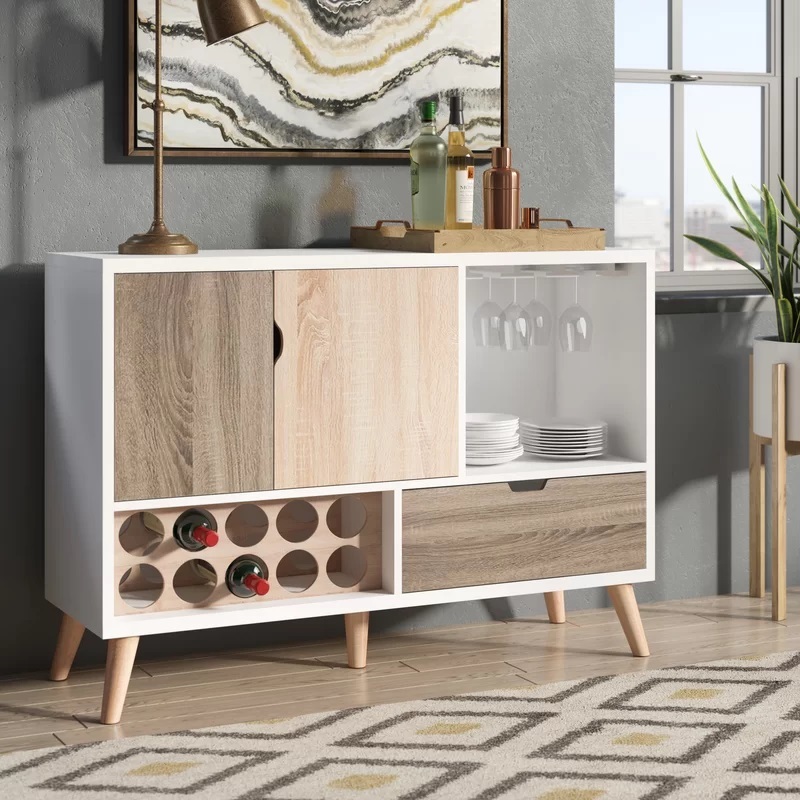 First and foremost, what is a sideboard? 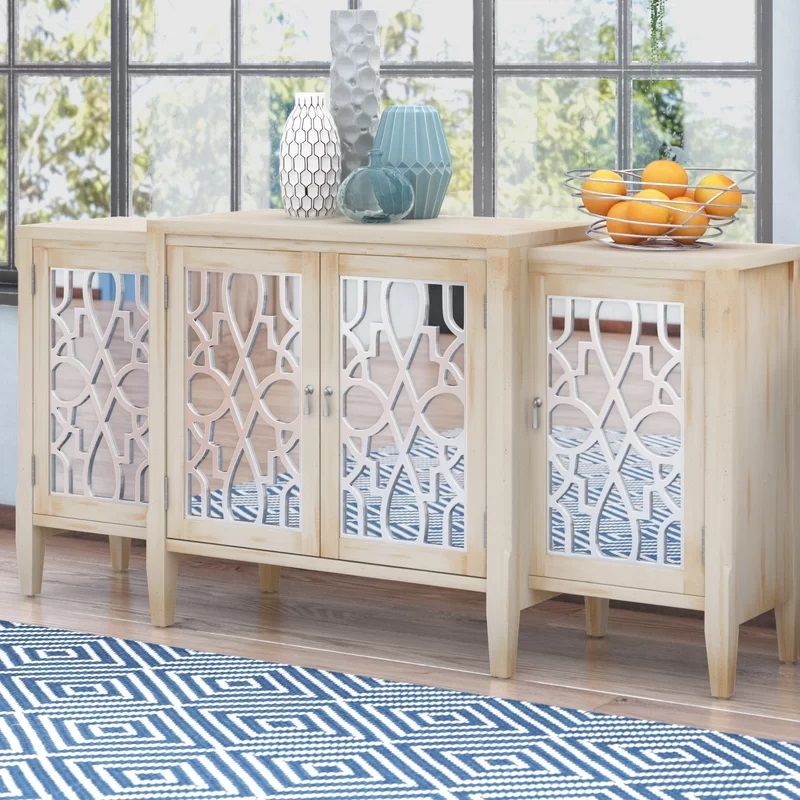 It is essentially a type of wooden furniture that has a flat top and comes with cupboards and/or drawers and is primarily used for storage of items such as crockery, glassware or table linen. 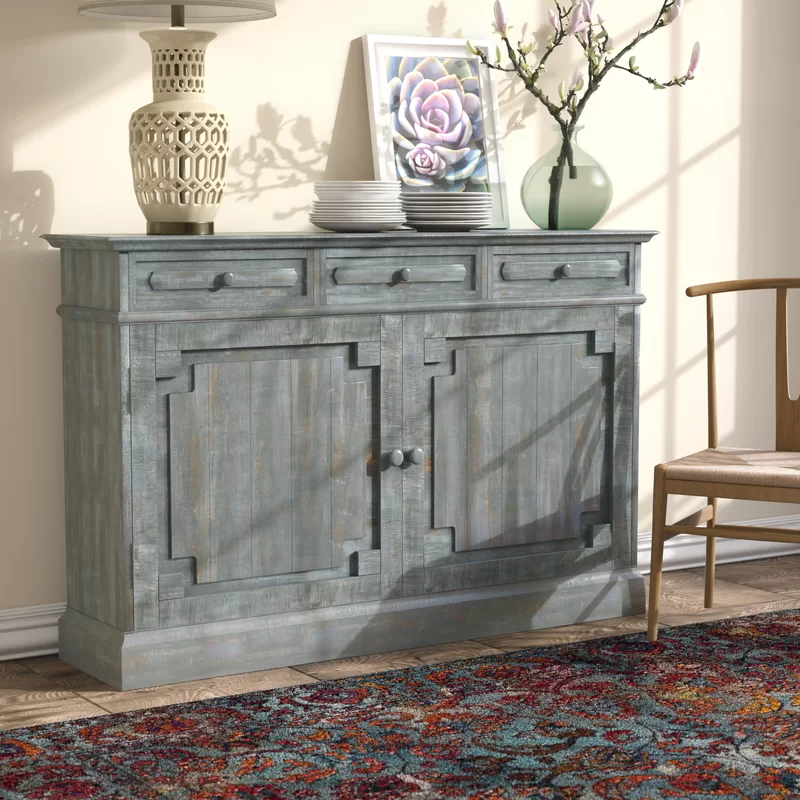 This would give you the idea that a sideboard is best suited for a dining room, but that isn’t so. 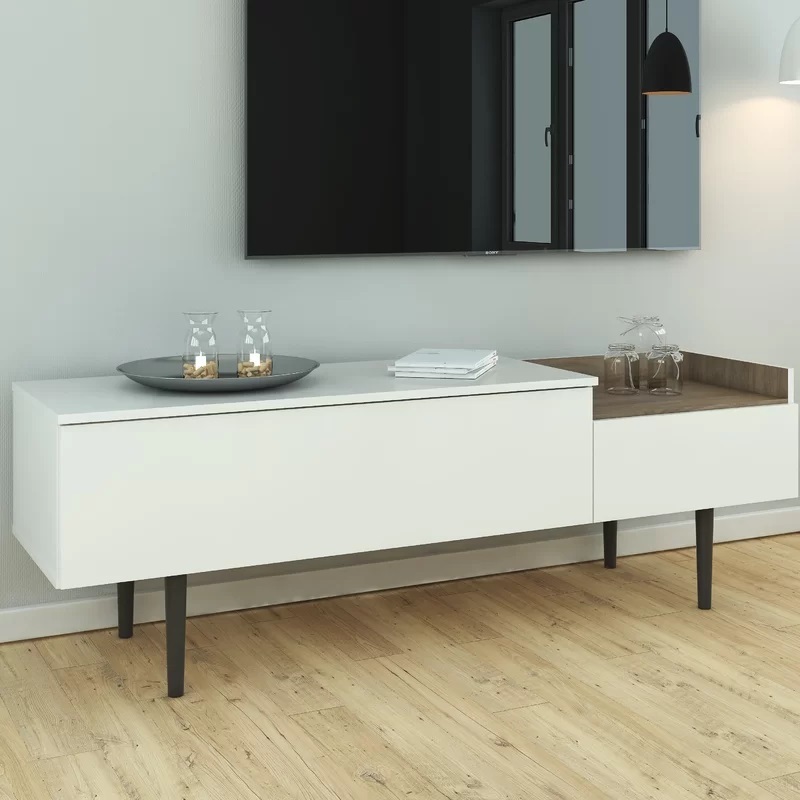 Whilst they are certainly popular in dining rooms as the flat-topped surface is ideal for displaying food, or serving food (buffet style), it can also be used as other means, Such as a surface for light fixtures or decorative items such as a sculpture coupled with a lampshades on either side and a mirror on the wall above the height of the sideboard. 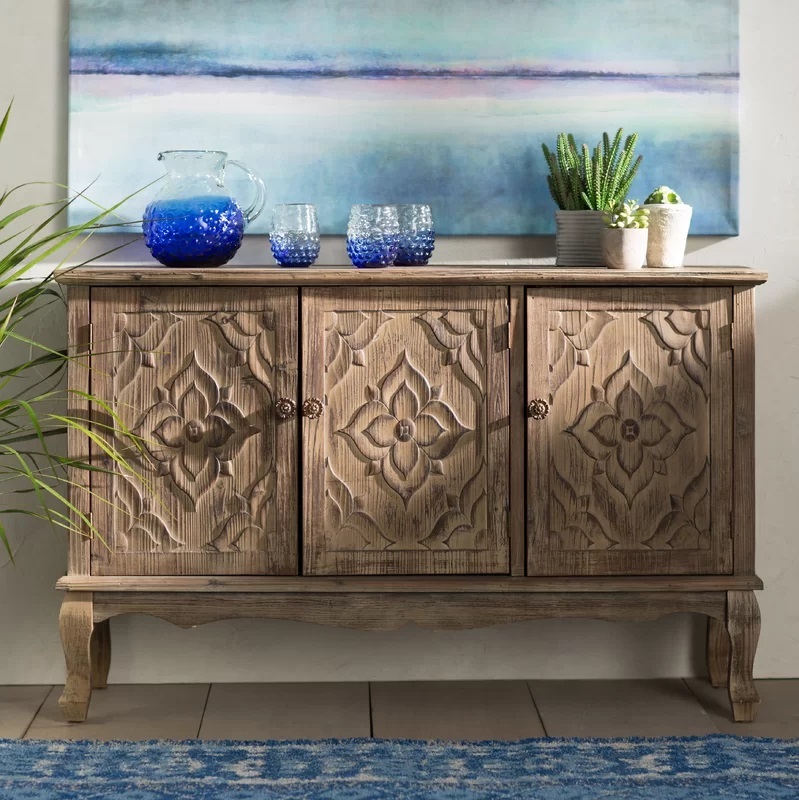 A dining room sideboard is often referred to as a buffet due to its food serving purpose, but there is a slight different between a sideboard and a buffet. 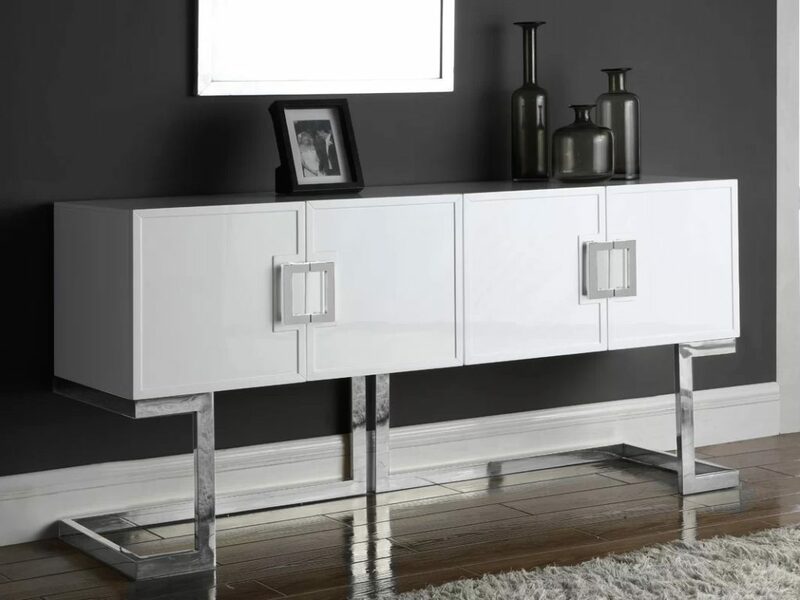 Whilst a sideboard is the fact that this type of furniture has short or no legs at all (with it reaching all the way to the floor), whereas a buffet type of sideboard will have longer legs. 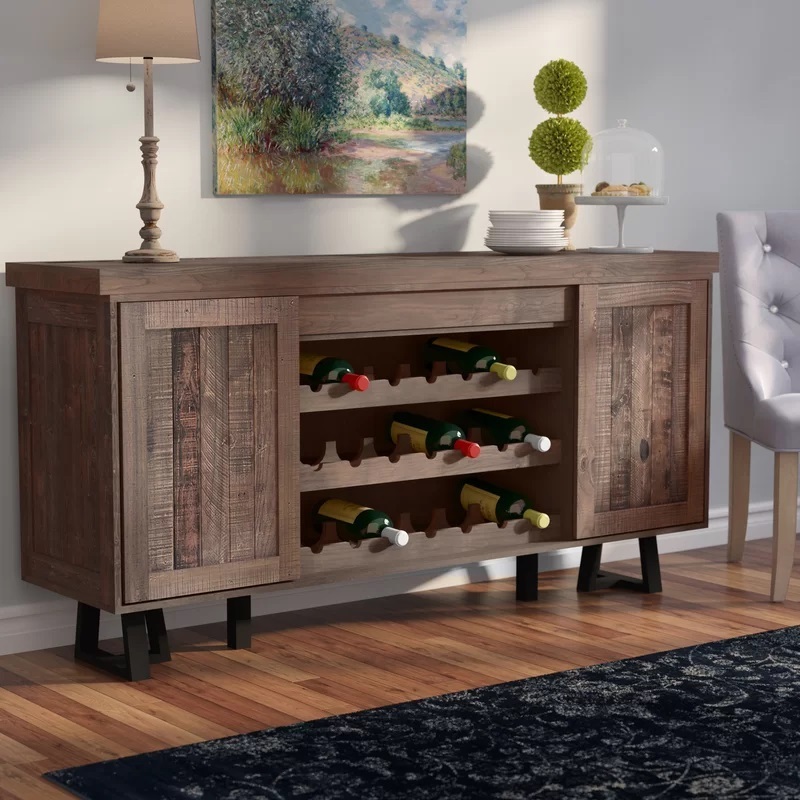 Also, it should be noted that a sideboard which is not a buffet, is usually found in other places apart from the dining room such as a living room or even a foyer, entryway, or corridor. 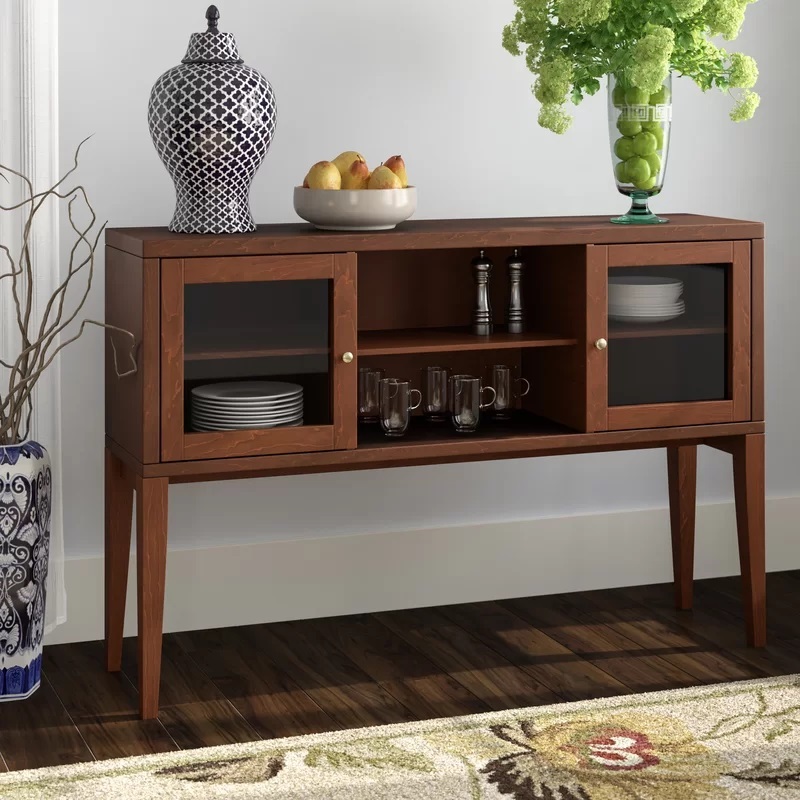 Now, another type of sideboard that’s out there would be the “server” sideboard. 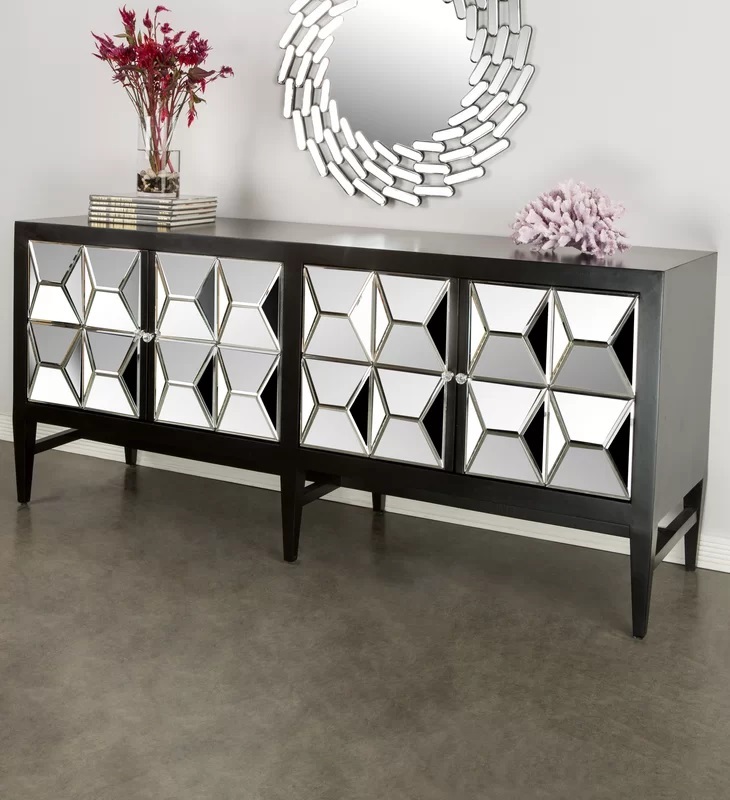 These are usually smaller in size and height. 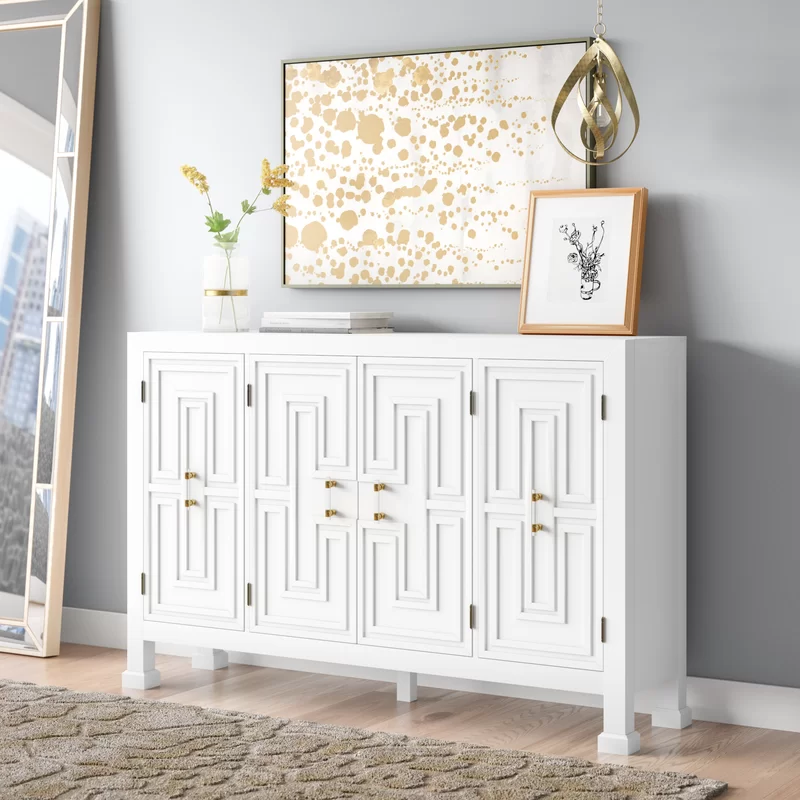 The Credenza which has been featured historically, are a type of sideboard that do not feature legs with the cabinetry reaching the floor. 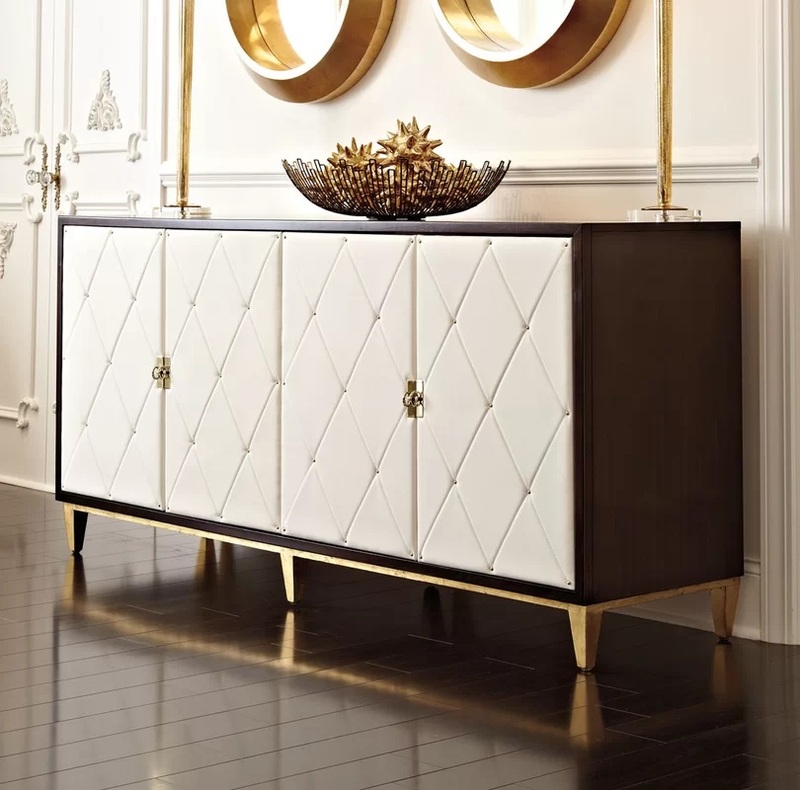 The distinctive feature is the decorative elements with veneers being used. 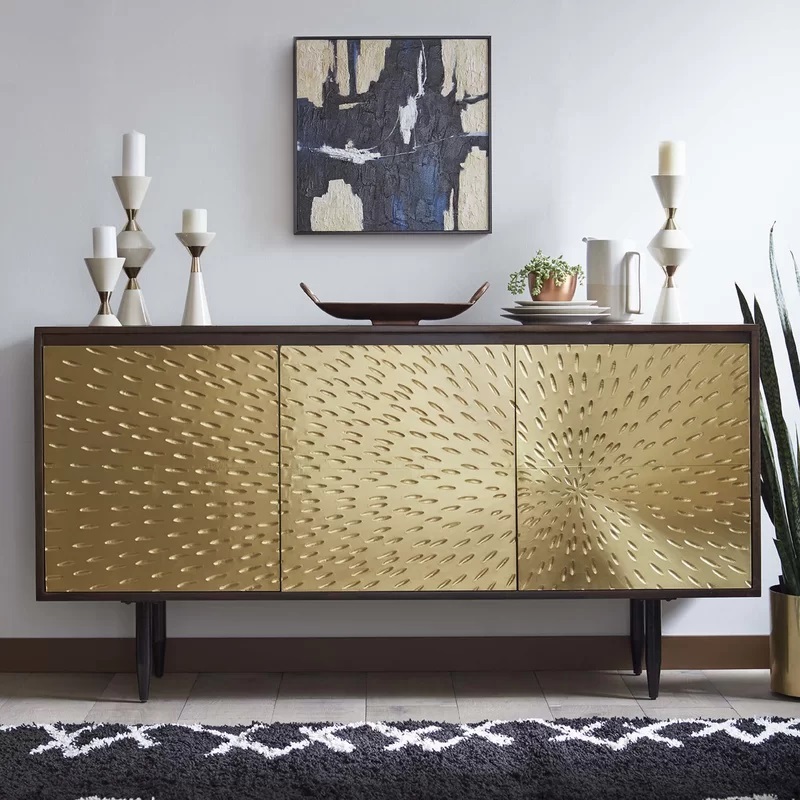 Having laid out the different definitions and types of sideboards out there, let’s look at some of the best sideboard table designs for your interiors! 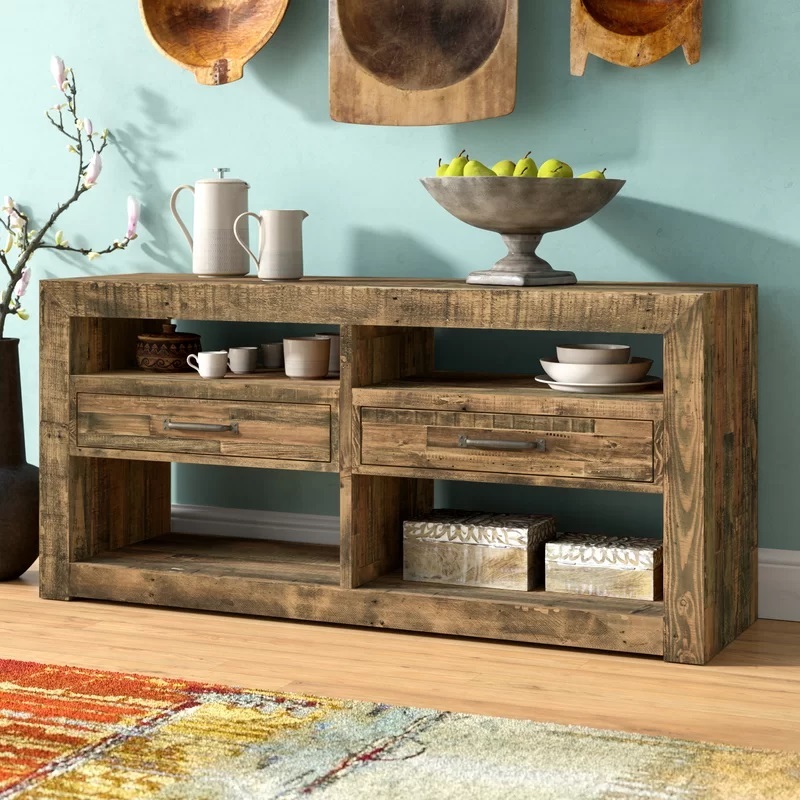 If you are looking for console tables, don’t forget to check out our blog post on “Why Are Console Tables All The Rage?”.